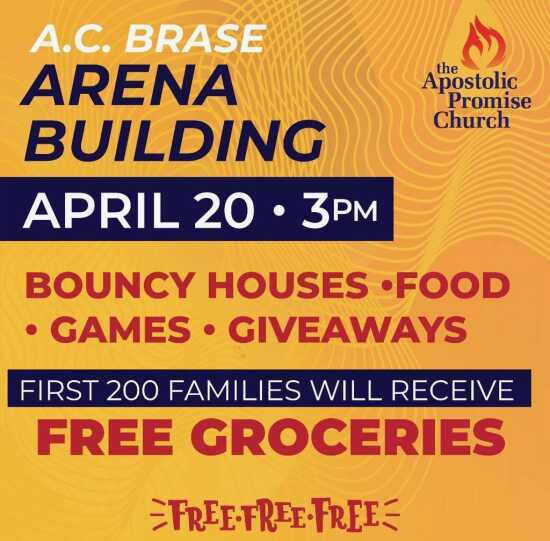 The Apostolic Promise Church is having their Annual Easter Block Party at the AC. Brase Arena on April 20th. Registration begins at 2 p.m. and the event starts at 3. There will be Bouncy Houses, Giveaways, Food, Games and More. First 200 Families will receive Free Groceries!